Fuel your body for maximum performance, mental and physical health, and great overall well-being. First of all — you ARE gorgeous! But, do you feel gorgeous? What we look like on the outside is typically a reflection of how we feel on the inside. So, how can YOU become a lean, gorgeous machine — inside and out? Fuel your body with the nutrients it needs, so you can start feeling GORGEOUS every day! You may enjoy those potato chips or candy bars when you’re eating them, but what happens afterward? The food we eat has an interesting reaction on the way we think. Much food is highly processed or packed with empty calories, and can take a toll on your brain — leading to cognitive decline and even preventing you from forming new memories. When you are eating food without quality nutrients (aka empty calories), you are starving your body of the essential ingredients it needs to function properly. You may LOOK well-fed (or even overweight), but your body is still craving the quality nutrients it needs! This may even lead to OVEREATING — because your body is still hungry for the essential nutrients. If you’re used to eating “empty calorie” foods, you may find yourself constantly reaching for the very items that leave you feeling unsatiated. Some of these foods even have addictive properties — like MSG — which keep you coming back for more. It can be a disastrous cycle. This type of “mindless” eating is NOT a recipe for becoming a lean, gorgeous machine! So, what CAN you eat that will turn you — physically and mentally — into the gorgeous person you know you are?! Start off with the right snacks to get you right on track. When you first start switching out your non-healthy food for healthy food choices, a word to the wise — go slowly! Your body has gotten used to all the unhealthy food and needs time to adjust. 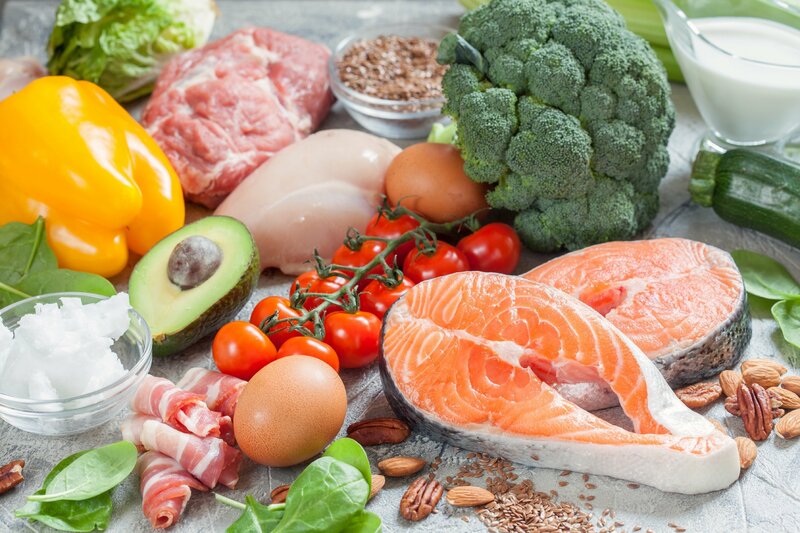 If you switch too quickly to a purely-healthy diet, the difference in food composition can be overwhelming and even prevent you from maintaining your new healthy lifestyle. So start off just swapping your unhealthy snacks for healthy ones — like our Bone Broth Protein Collagen Bars. They have only 2-3 grams of naturally occurring sugar and are loaded with bone broth collagen and organic plant based nutrients, like organic pea protein and organic prebiotic fiber. These Yonder protein bars are delicious and easy to digest — making them the PERFECT choice for becoming a lean, gorgeous machine! After you have successfully started reaching for HEALTHY snacks (Yonder bars, veggies with hummus, raw almonds, hard-boiled eggs), you’re ready for the next step! It’s easy to let little things slip through the cracks, so start looking out! Train yourself to read the labels on the foods you commonly eat. Notice how many extra, unnecessary ingredients are listed on your go-to foods, like condiments, sauces, and salad dressings. It may seem like a small step, but it’s INCREDIBLY important to KNOW what you’re eating. Start stepping away from ingredients that sound more like a science lab than something that grows in the ground. Unfortunately, many companies put additives in food products to drive up profits, improve marketability, and keep food fresher for longer on the shelves. These artificial and synthetic additions are generally NOT good for our bodies (or our minds!). So keep an eye out and start switching these foods out for healthy alternatives — for example, make your own salad dressing! Some studies show the act of cooking is therapeutic on its own, and you’ll know EXACTLY what is going into your body, and eventually into your brain. Once you’re in the habit of checking ingredients, you’re ready to start making and eating quality meals around the clock! By this time, you’ll have been eating the RIGHT snacks and be developing a HEALTHY relationship with food by NOTICING what you are eating and CHOOSING to swap out unhealthy ingredients for healthy ones! At this point, your body and mind should be ready to fully incorporate a healthy living lifestyle and stick with it for years to come! You may not have time to ALWAYS make your own meals, but if you routinely practice healthy eating habits, the added benefits will compound and grow. Focusing on your food and paying attention to the quality of the ingredients goes much further than the kitchen. Developing this kind of mindful lifestyle is excellent for your brain health. You may begin to notice that you not only feel better, but you’re increasingly AWARE of your internal reactions to changes in your food habits. Now that you’ve stopped eating refined sugar as often, do feel less anxious? Can you tell that your heart starts racing if you DO drink a soda? Developing increased body awareness by practicing mindful eating can carry over to other parts of your life — whether it’s the gym, or yoga mat, or other healthy habits and positive physical activities. If you can tell what makes you FEEL good, you are more likely to choose to do those things! Once you get the hang of eating nutritious food, you’ll find that you don’t WANT junk food anymore. (You’ll also be taking preventative steps to avoid serious chronic diseases — like diabetes and heart disease.) Your body will adjust to eating healthy food and you may find yourself feeling queasy or gastrointestinal discomfort if you do eat junk food. By consistently eating healthy food, your improved energy levels and mood will simply become a part of your new lifestyle. Your healthy living lifestyle will naturally lead to weight loss if you need to shed a few pounds. Before long, your conscious training will lead to subconscious decisions, and you’ll find yourself reaching for healthy food without a second thought! Most people don’t know that pure water actually CARRIES toxins out of the body. When combined with coffee, tea, or lemon, your body ends up needing plain water even more! It’s VERY important that you drink plain pure water to stay hydrated and keep your kidneys running smoothly. Otherwise, those toxins may accumulate and lead to a host of health problems. A healthy body is a gorgeous body, so keep pure water on hand to LOOK and FEEL gorgeous! Having nutritious snacks handy will keep your blood sugar levels steady and prevent you from becoming so hungry that you will eat ANYTHING. The Yonder Bone Broth Collagen Protein bars are perfect for throwing in your purse, briefcase, or car console. With low amounts of naturally-occurring sugar, they won’t spike your energy levels and then lead to a massive drop. They also HAVE bone broth collagen in them – so you’re already one step ahead! Bone broth collagen is an EXCELLENT source of protein. It’s great for bone density and keeping your muscles strong and built. Bone density is an EXTREMELY important factor in maintaining overall physical health. (Osteoporosis is just one example of a common disease that can be abated by good bone health.) Also, bone broth collagen contributes to the dermis layer of your skin, giving it a youthful and healthy appearance! Before you know it, simply starting with switching out your snacks has led to changing your entire lifestyle! The RIGHT food and the RIGHT activities will CHANGE the way you look and feel. Food and exercise induce chemical changes in the body – when you choose the right habits, those changes become a way of life and eventually part of WHO you are. Do you want to change for the good? You can start NOW by choosing the right FOOD and right HABITS for the best YOU! Take a moment and check out our bone broth protein products so you can start your journey NOW to FEEL like the lean, gorgeous machine you are!